I found this on the floor next to the photocopier at my office. 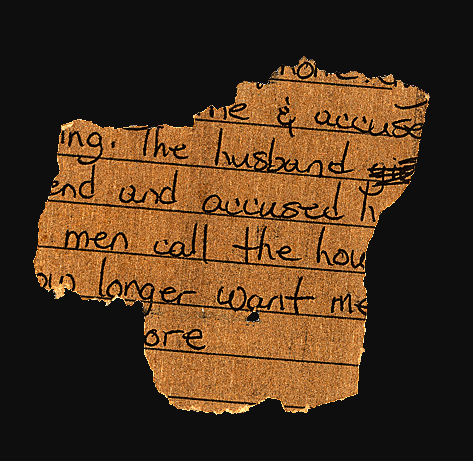 I love how it tells a story — one of a husband and men [who] call the hou[se], and of implied accusations and seemingly faded desire — all written on strange brown paper. Such intrigue! It strikes me that the story offered by this brief scrap is perhaps more engrossing even than the story we might have had if I’d found the whole page.